To most of the Anglophone world, the name Manuel evokes the harried Spanish waiter who had the misfortune to work at Fawlty Towers. But before John Cleese created Basil Fawlty, Manuel must have been a bit exotic, a name with a hint of the Latin Lover about it. How else to explain an act called “Manuel and the Music of the Mountains”? This Manuel was an extraordinarily successful band leader and orchestral arranger from the 1950s on. It is no surprise to learn that Manuel was actually a Yorkshire lad, born in Todmorden, a small town near Manchester. His real name? Geoff Love. And no, “Geoff and the Tunes of Todmorden” doesn’t have much of a ring to it. But here’s the thing: Geoff Love’s story was more interesting than “Manuel’s” could ever be. He was born in 1917, the child of a black American father and his English wife. Think about that for a moment. Imagine growing up in Yorkshire as a mixed-race child in the 1920s. Love left school at the age of 15, and worked as a mechanic – but he also played trombone, well enough that he become a professional musician, working the dance-hall circuit. After serving in the war, he studied orchestration and became a successful arranger working for major record labels. He arranged major works for Frankie Vaughn and Shirley Bassey, not to mention Laurie London’s version of “He’s Got the Whole World in His Hands”, which topped the US charts in 1957. Again, remember that this is a black guy, and this is the 1950s. So, Geoff Love’s success is an amazing story. Under the moniker of Manuel and the Music of the Mountains, he pumped out dozens of records. Many of them sold in the millions: he had one platinum and fifteen gold records. Obviously, a lot of people loved what he did. I have to admit it. I am not one of them. I have listened, with open ears, and it just not my cup of decaf cinnamon chai-latte. There is something about the way the string section often takes up the melody line, filling the aural space usually occupied by a singer, which grates. But that is only me, and millions of people think otherwise. Here is Manuel’s take on the Latin jazz standard “Perfidia”. Just listen. 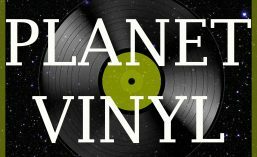 Many of the records discussed on this blog, along with more than 1000 other titles, are for sale on Discogs.